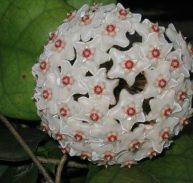 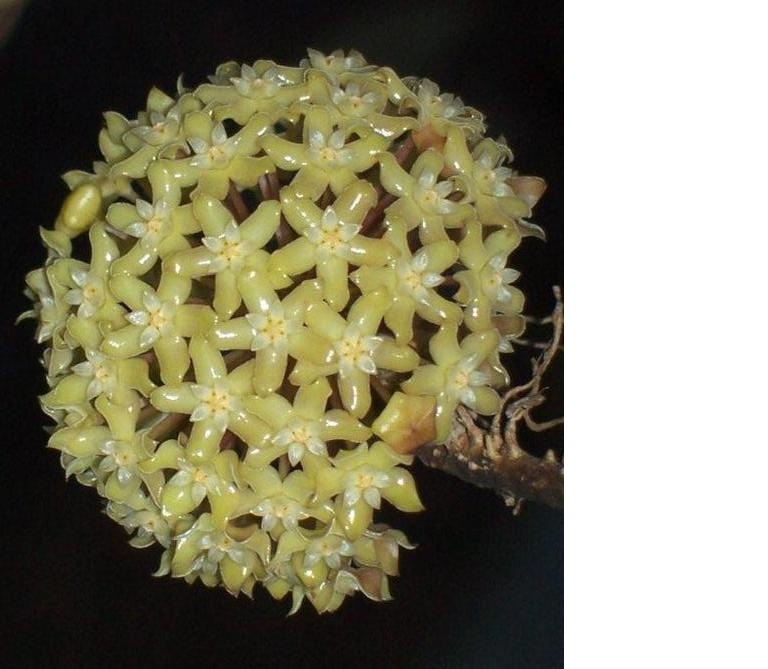 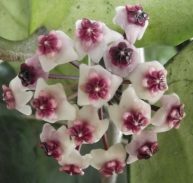 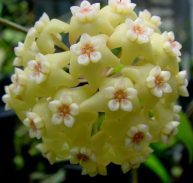 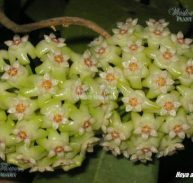 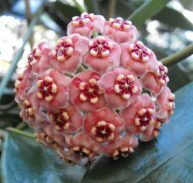 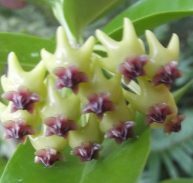 Hoya merillii is native to the Philippines and is member of the Asclepiadaceae family. 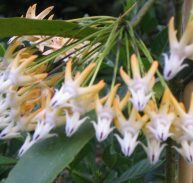 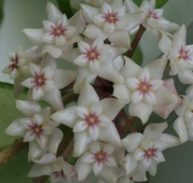 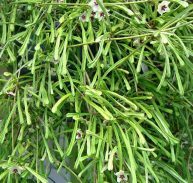 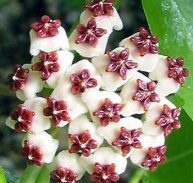 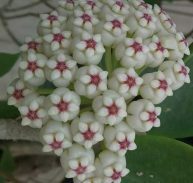 It is a frequent bloomer, producing flowers that are fragrant and 10mm across and the umbel contains between 20 and 30 flowers. 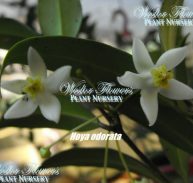 Flowering time is during the warmer months of the year. 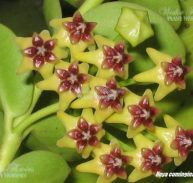 It is a compact species producing large succulent, glossy patterned leaves, you can see the veins on the leaves. 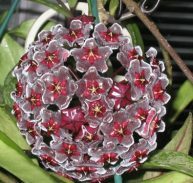 The leaves have been highlighted by bright light turning them a light shade of red. 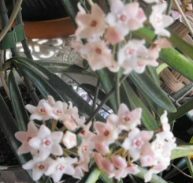 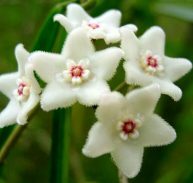 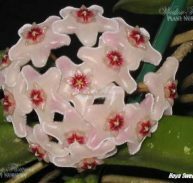 Hoya merillii likes to be placed in a position of filtered sun and when exposed to more sun the leaves tend to redden. 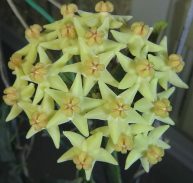 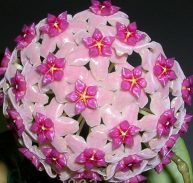 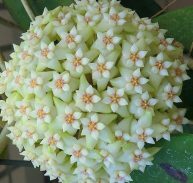 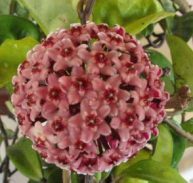 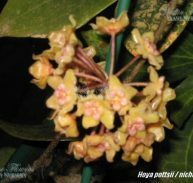 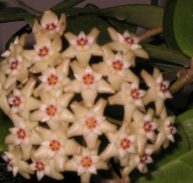 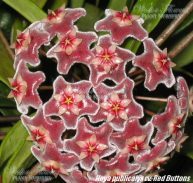 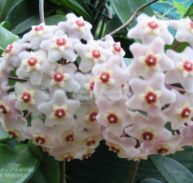 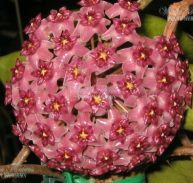 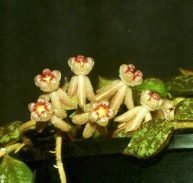 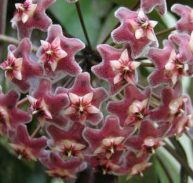 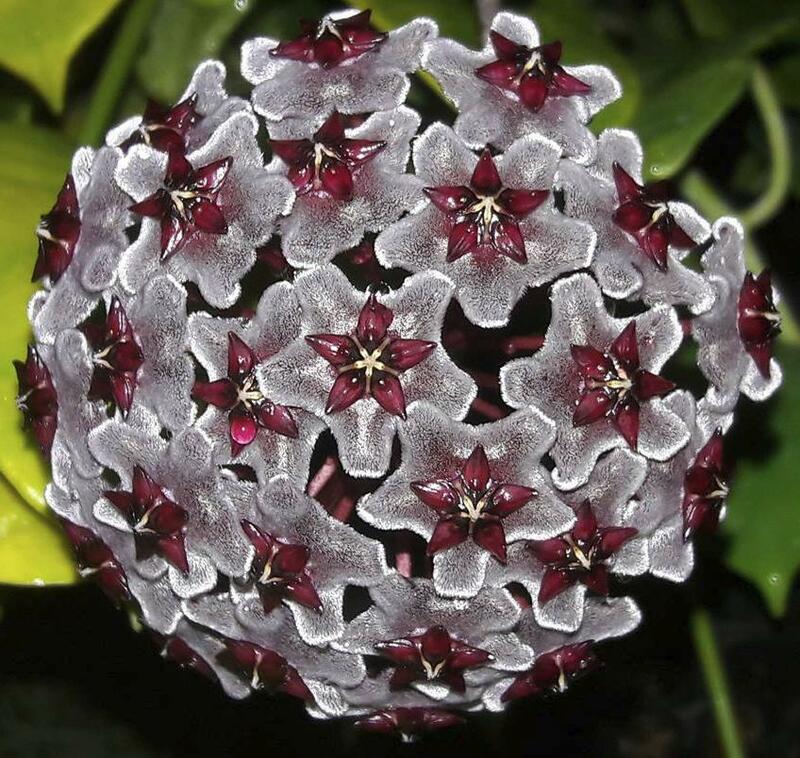 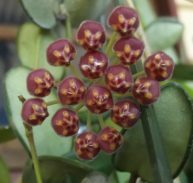 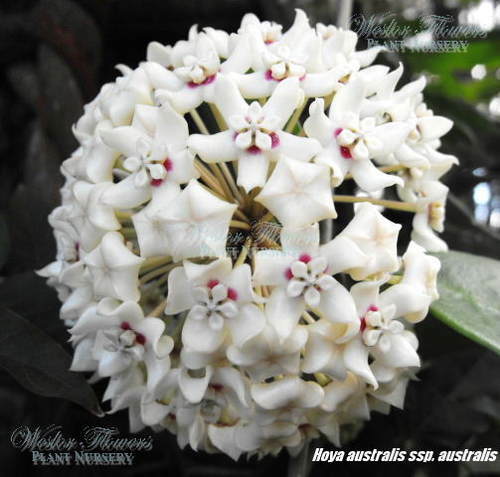 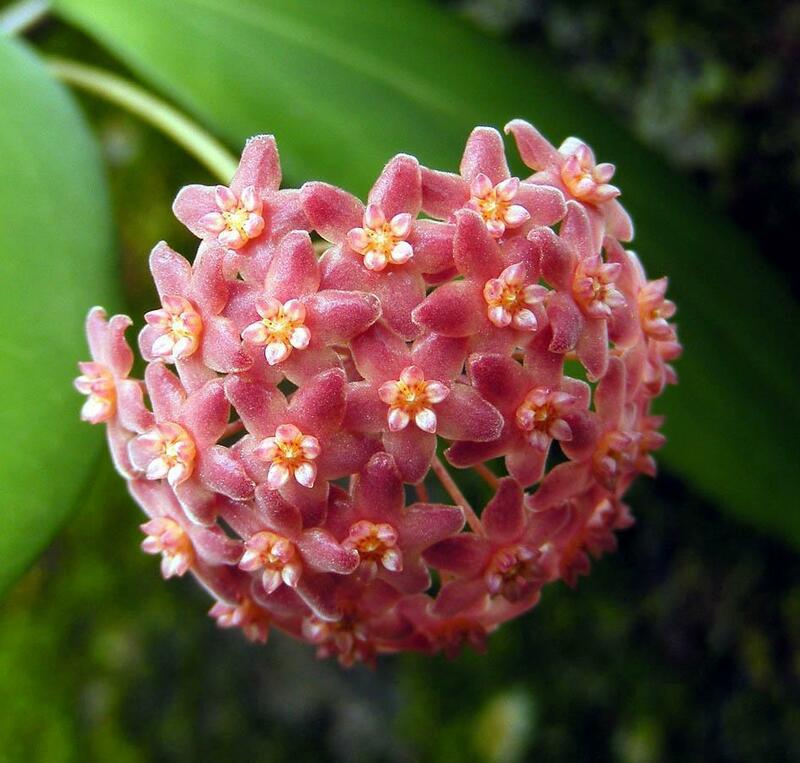 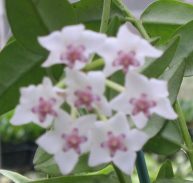 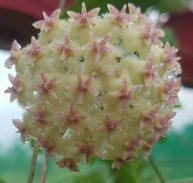 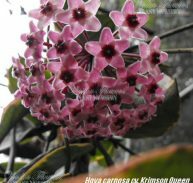 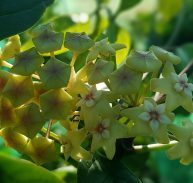 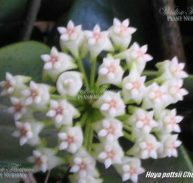 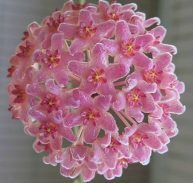 THIS IS A HOYA YOU WILL ENJOY!